Just another benefit to spending a Saturday with us! 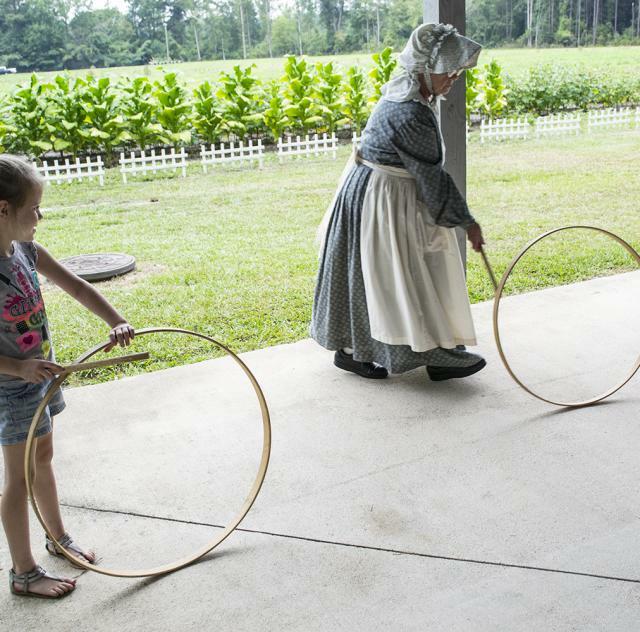 Each Saturday from 10am-2pm demonstrations and displays of traditional arts, crafts and trades are featured on-site. All activities are included with regular admission to the Museum, annual passes are available. Check Facebook regularly for more details on upcoming Saturday Series programming! Activities are subject to vendor/demonstrator participation and weather. Some activity materials may require additional costs. Visit www.tobaccofarmlifemuseum.org or call 919-284-3431 for further details.